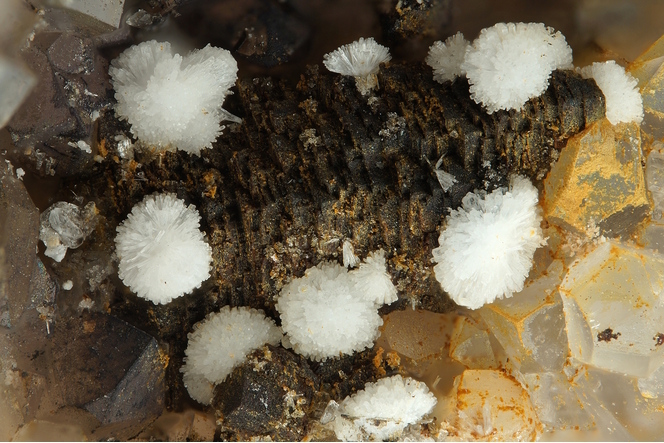 Uklonskovite: Mineral information, data and localities. NOTE: Structure solution of an Italian sample gave the formula NaMg(SO4)F.2H2O (Sabelli, 1985). This formula is now accepted as the correct one (IMA 16-J proposal, accepted). A reinvestigatgion of the type material confirmed the formula (Menchetti et al., 2017). Named after Alexandr Sergeievich Uklonskii (1888-1972), mineralogist, Academy of Sciences, Uzbekistan. Maybe a product of supergene alteration of kononovite. 2016: IMA 16-J: formula revised from NaMg(SO4)OH·2H2O to NaMg(SO4)F·2H2O (F instead of OH). Challacolloite 4 photos of Uklonskovite associated with Challacolloite on mindat.org. Pseudoboleite 3 photos of Uklonskovite associated with Pseudoboleite on mindat.org. 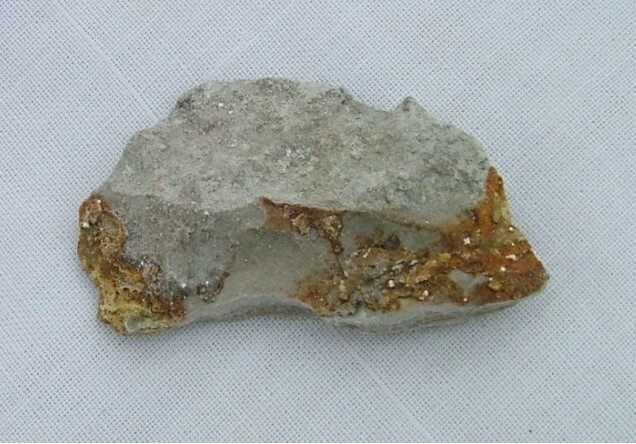 Nitratine 2 photos of Uklonskovite associated with Nitratine on mindat.org. Cotunnite 1 photo of Uklonskovite associated with Cotunnite on mindat.org. Doklady Akademii Nauk SSSR (1964): 158: 116-118. Doklady Akademii Nauk SSSR (1964): 158: 1093. American Mineralogist (1965): 50: 520. Bulletin de la Société française de Minéralogie et de Cristallographie (1985): 108: 133-138. CNMNC Newsletter No. 34, December 2016 (proposal IMA 16-J). Menchetti, S.; Bindi, L.; Belakovskiy, D.; Zaccarini, F. (2017): Structural, chemical and spectroscopic re-examination of type uklonskovite leads to its redefinition. Mineralogical Magazine (in press). Associated to challacolloite in M.E. Ciriotti collection (2005); Schluter, J., Pohl, D., & Britvin, S. (2005). The new mineral challacolloite, KPb2Cl5, the natural occurrence of a technically known laser material. Neues Jahrbuch für Mineralogie-Abhandlungen, 182(1), 95-101. Brizzi G., Ciselli I, Santucci A. (1986) - Ultime novità da le Cetine di Cotorniano - Riv. Miner. Ital., Milano, fasc. 3, pp.145-155; Menchetti, S., Batoni, M., Batacchi, C., Borselli, G., Brogi, A., Ceccantini, L., Fassina, B., Marchesini, M., Rossellini, A. & Ruggieri, G. (2015): Le Cetine di Cotorniano. Miniera e minerali. 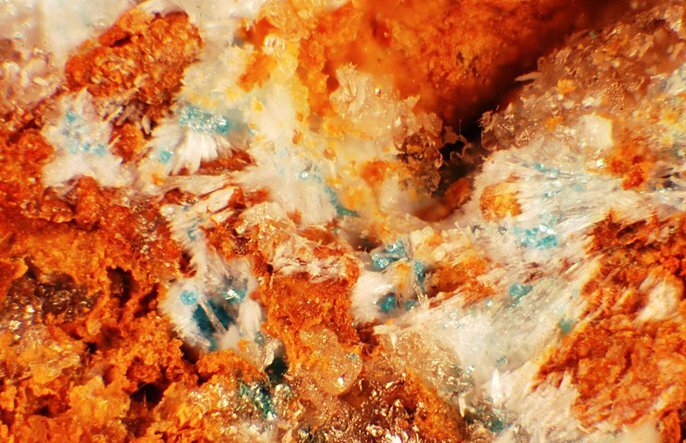 Associazione Micro-Mineralogica Italiana, Cremona, 354 p.